A group of Chinese business leaders have driven all the way from China to London to promote post-Brexit trade and cultural relations with the UK and its European neighbours. The 13,500 mile journey, in specially equipped rally cars, is part of President Xi’s ‘Belt and Road’ initiative. The group of 40 TV executives drove in a fleet of 14 cars along the ancient ‘Silk Road’ – a trade passage that dates back over 2,000 years through Russia, Central Asia and in to Europe. The Visit marks the fifth anniversary of the Chinese Government’s ‘Belt and Road’ Initiative to create a modern Silk Road with road, rail and maritime trade and logistics routes, launched by President Xi Jinping in October 2013. The trip began in the ancient Chinese city of Xi’an and made London in a period of 65 days, calling at a number of cities along the way. Xi’an marks the Silk Road’s Eastern end and is home to the Terracotta Army. The TV executives, whose channels together reach an audience of 150 million people, are driving in a fleet of specially commissioned rally cars that have been sponsored by the Shanghai Automobile Corporation. The tour took in 16 different countries stopping in Tashkent, Baku, Moscow, Minsk and Warsaw, before a whistle-stop tour of Western Europe including Berlin, Amsterdam, Brussels, Geneva, Milan, Madrid, Lisbon and Paris before arriving in London today. A special welcome ceremony on Thursday 1st November was held in Guildhall Yard of the City of London, where the fleet of cars arrived at the heart of the City, and a seal of the route map was unveiled and signed by the Lord Mayor Alderman Charles Bowman and Sheriff Liz Green, which is organised by the Allied-China Europe Society. 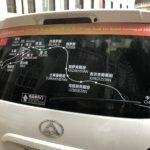 The Lord Mayor of London Charles Bowman said: “These vehicles have made an epic journey of more than 13,000 miles from President Xi’s home province to the City of London, the natural western hub of the Belt and Road Initiative. “Their arrival in Guildhall yard is hugely symbolic, and shows the potential of increasing links from East to West. 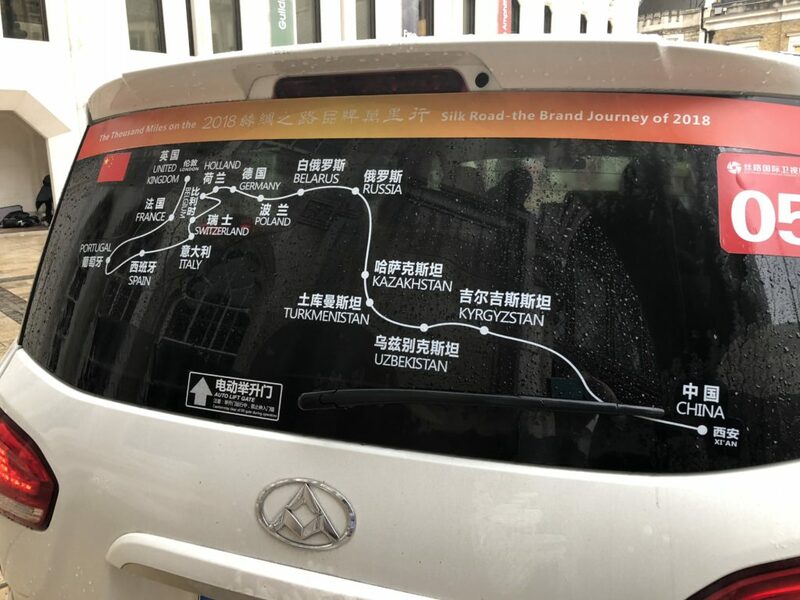 A final celebration tomorrow at the Painter’s Hall in the City will mark the fifth Anniversary of Belt & Road Initiatives and the accomplishment of Silk Road Rally European Cultural Tour 2018.